One of the hardest techniques to learn is creating photos on glass. 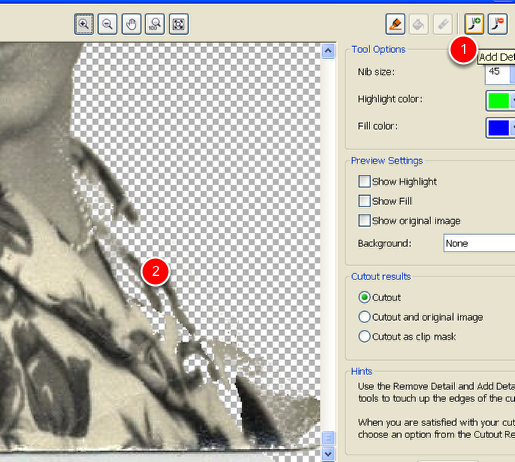 It is not easy and requires you to know how to adjust photos in CorelDraw. To get the best photos requires the use of a mask typically. Although you do not have to use a mask i tend to find the best results are achieved when you use a transfer mask. 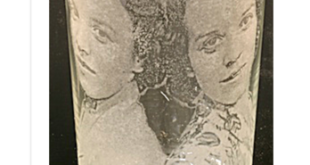 For more info on the actual l;asering technique of lasering on glass go to my video section. 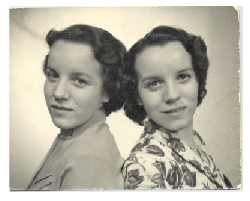 The photo we are using is a old "black and white photo from 50 years ago. It had to be scanned and fixed up (repare creases) before I could laser it. I like this photo because this is a very idictive type of photo that one would recieve in a retail envioronment. 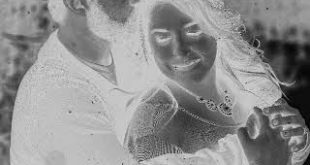 Sometimes when we use laser suppliers photos they are to good and sometimes do not give us a good actual example. 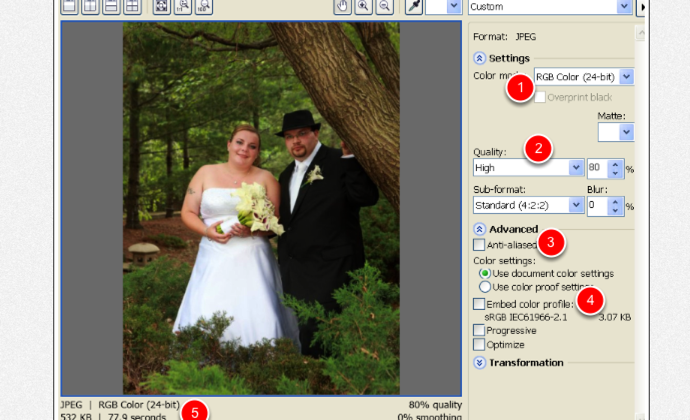 This photo was given to me during a training tutorial I was giving and these are the actual files we created. Here is our photo after we fixed it up. 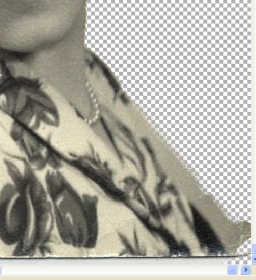 We had to clone out some bad rips and folds in the original image. With the image open in Corel Photo Paint select IMAGE (1) CUTOUT LAB (2). 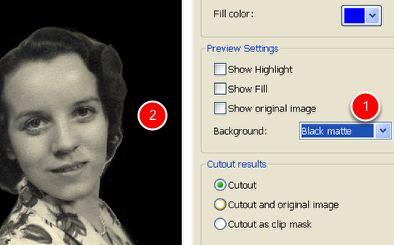 With the image in the cutout lab we can now work to cutout the image. 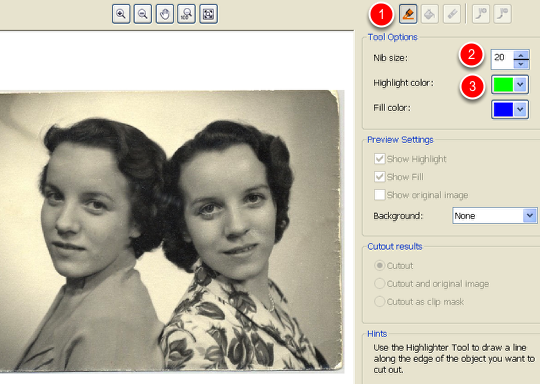 First we need to outline the area of the photo that we want to keep. To out line the image we will use a marker. The marker or pen is located at the top right (1). 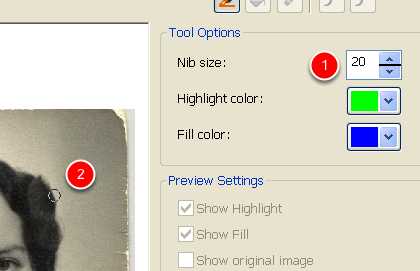 If you want to make the nib large or smaller you can enter in the size under "Nib Size" (2). The default colour of the line that the pen draws is lime green (3). This can be change to suite the photo. A nib size of 20 (1) gives you a nib or brush size that is a little small for this image (2) – round circle. 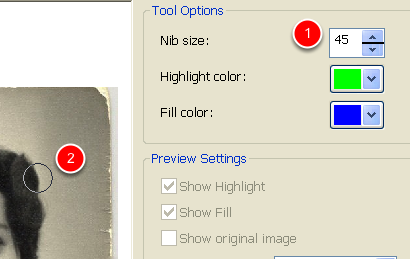 To get better coverage I changed my nib size to 45 (1). My nib is now thicker than 20 (2). Before we start we need to zoom in to make our drawing more accurate. I will select the zoom in button (1). 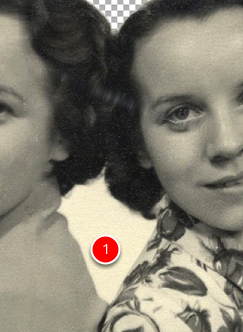 Click and drag an area to zoom into. 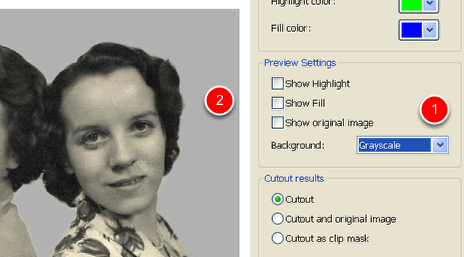 If you zoom in you will need to click back on the marker or pen tool (1). Select 45 (2) and keep green (3). Draw a line from the bottom of the photo (1) to the top of your window (2). 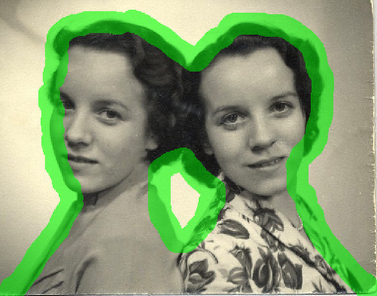 The line is green and it is half on our image and half off our image. Continue to draw the line around the image. Make sure that the line is uninterrupted. Do not worry about letting go of the mouse. You can do this and start again. If you make a mistake you can erase the mistake with the eraser (1) and than start drawing again. 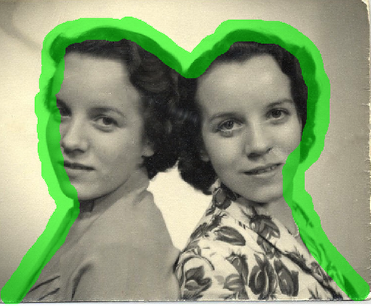 We have now outlined our image. The green line indicates the area we want to keep and the area we want to get rid of. 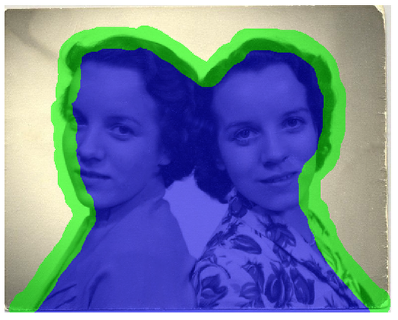 We need to tell PhotoPaint what we want to keep and what we want to discard. We do this by filling what we want to keep. 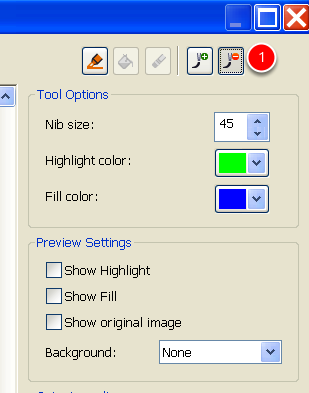 So select the fill tool (1). 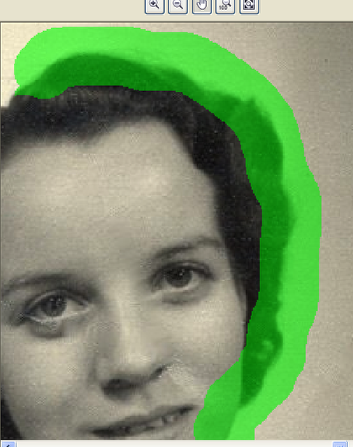 If you do not take you green lines right to the edge of the page (1) and (2) when you fill the fill will fill the whole image. This is no good. 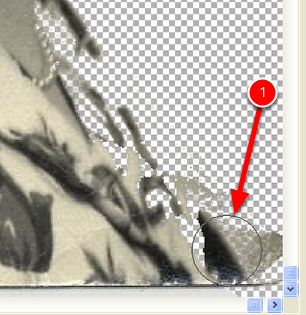 We need to close off those areas by selecting the line tool and extending the line to the bottom of the photo. 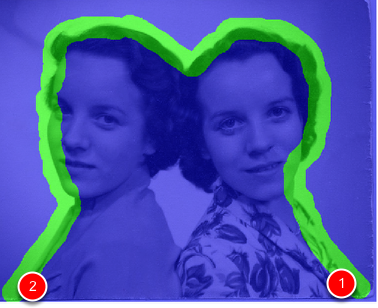 Our Image fills right because only the inside is filled blue. The actual cutout is very good and we only have 3 areas that need to be addressed. First off all to make it easier zoom into the area that needs to touched up. We need to bring some detail back that was taken away. 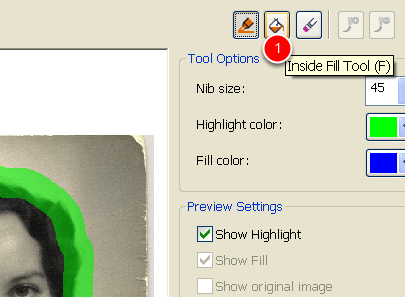 Select the "Add Detail" brush (1). 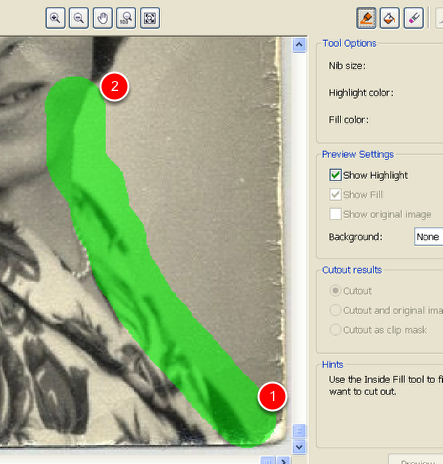 We are now going to click on the area that needs to be touched up. 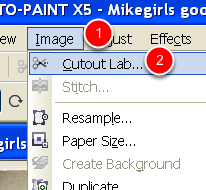 When the add detail brush is activated your cursor will change into a round shape. You can now drag over the area the needs to be brought back. Hold the left mouse button down and drag and than release. We have now brought our detail back to the image. 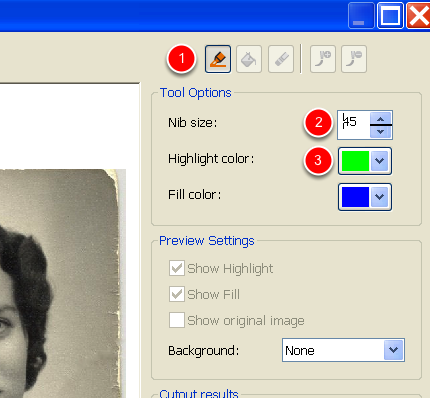 To get rid of some detail you can click on the remove detail brush in the tool (1). I want to get rid of the middle section also. 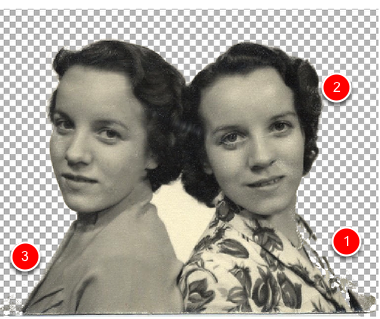 I can do this by selecting the brush tool and tracing around the middle area (1). 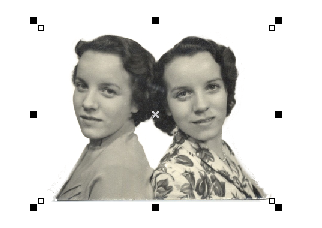 The Middle is now traced out and I can fill in the photos with the Fill tool. This took 3 minutes to do. 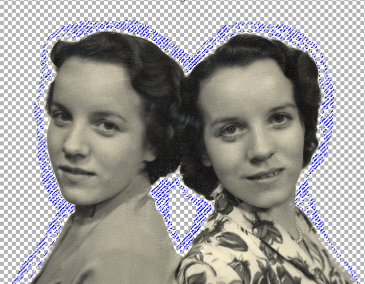 I have gotten rid of the background around the two ladies (1) and also the area that is in the middle (2). 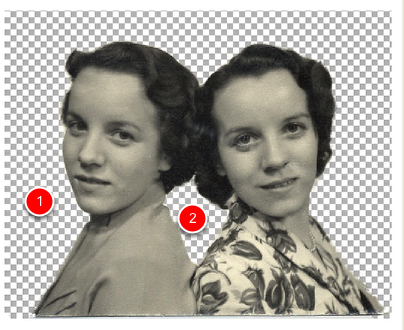 To help you see any "extra" detail that you have missed in the background you can change the background colour to black (2), gray or white (1). 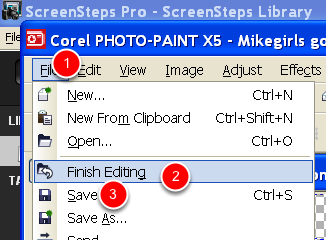 To transfer the image back to CorelDraw got o FILE (1) | FINISH EDITING (2) or SAVE (3). This depends on what version of Corel that you are using. 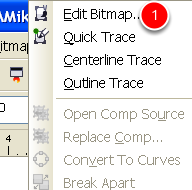 Our Image has now been transferred to CorelDraw. 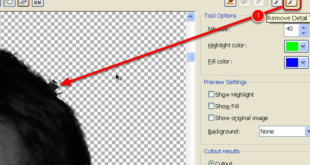 You can now close PhotoPaint.